Correct barrel and pincushion distortion in digital photographs with the ultimate accuracy: automatic correction specific to the lens used to take the photo. 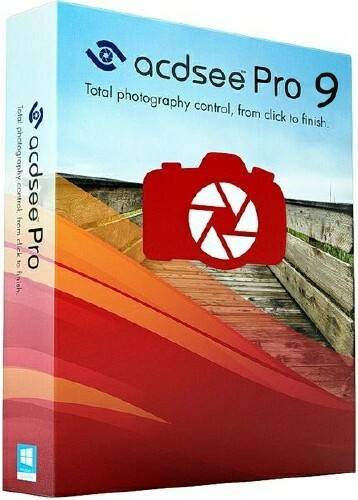 ACDSee Pro 9 lists the possible lenses for your camera's make and model and applies the correction specially formulated to fix the particular distortion inherent to that lens — even fixing chromatic aberration. Map this correction to your lens and set Develop mode to correct every time, no attention required. Group your photos in one place for a simple take on highly complex organizing and easy searching. Create Collections to fast-track the right photos to the right workflow, such as printing, batch editing, sharing to web, developing, or accumulating for a slideshow. Build hierarchies within Collection Sets for further structure to help you drill right down to the photos you want. Or construct Smart Collections containing a search, which you can return to at any time. Utilize an extensive list of search variables, including relative dates, date ranges, metadata, and file properties. Smart Collection's search will update its findings as files are added to the database — zero effort on your part. Distinctive, clear, crisp. These are just a few of the words used to describe ACDSee's new high DPI support. View your images on 4k monitors in sharp, uncompromising detail no number of words can describe. Forget the concealer. Forget the foundation. Forget the painstaking color targeting and precision repair work. All you need now is the Skin Tune tool, which targets skin tones so you don't have to. Avoid messing with the other colors in your image. You can use the Skin Tune tool to even skin tone, restore glow, and smooth away blemishes and flaws without a lot of messing around. No makeup. No expense. No hassle. Take any old photo and turn it into something extraordinary. With an ever-expanding roster of brand new effects to choose from, it's easy to give the mundane a splash of mystery, mood, or otherworldliness without having to go through a long list of complex steps.